A bedroom over a garage needs a feng shui cure or two. This is an inauspicious location for a bedroom, but there are several feng shui remedies that can lessen the negative effects of this location. What Makes a Garage Inauspicious? A bedroom over a garage is considered inauspicious since it is typically a storage area. This kind of area is considered empty and devoid of chi energy. Sleeping above such a space doesn't provide you with any kind of support or ability to recharge personal energy. Most garages remain closed except when moving your car or other objects/machines in and out. No energy is generated or attracted to this big storage box. This lack of energy has a negative impact on anyone who sleeps above it. The biggest issue with sleeping in a bedroom over a garage is the lack of support. In feng shui, the bedroom is essentially floating above this empty space. This bedroom location can impact children just as much as an adult, resulting in sleepless nights, feelings of insecurity and not having necessary support. If this room is used as a guest room, it may seem the two negatives of empty space should cancel each other out. The opposite is true. The lack of constant use doubles the negative energy and stagnant chi. This will have a greater impact on your guest than it would a regular occupant. The bedroom needs to be grounded. This means adding earth elements, such as pottery, ceramics, earth tone (ochre/yellow and brown) textiles and even wall paint. Round mirror: Place a small round mirror face down on the floor underneath the bed to reflect the inauspicious energy back to the garage. Add a rug: Select a brown and/or ochre rug, preferably in a square shape (earth symbol). 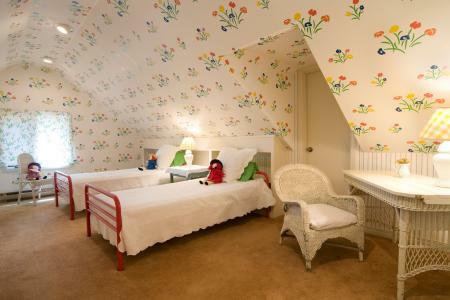 Place the rug completely underneath the bed. Carpeting is the best option for this cure. 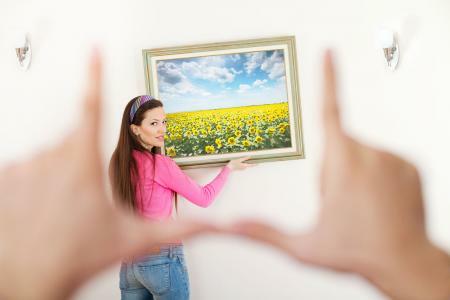 Art: Use a picture or photo of a landscape to represent the grounding energy of the earth element. Bed: A substantial bed with a high and solid headboard will give the support that the garage can't. Never sleep on a mattress on the floor. There are several feng shui cures for the garage when a bedroom is over it. Garages are usually filled with a collection of discarded items, tools and clothes. It's time to clean up and get rid of clutter. You'll notice an immediate change of the energy when your garage is clutter free, clean and organized. Get rid of anything that isn't vital to your day-to-day existence. Purchase neat cabinets, tubs and other organizers. Give everything a place and make sure it is returned to that spot. 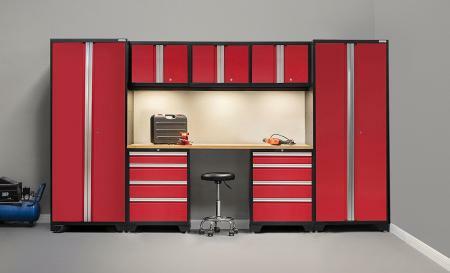 If your garage is used only for storage, once it's organized and cleaned it up, start using it for your car(s). The moving of vehicles in and out of the garage will help bring a little yang energy into the space. There are other things you can do to attract yang energy. Walls: Paint the garage or an accent wall a yang color, such as red, orange, yellow, purple or pink. 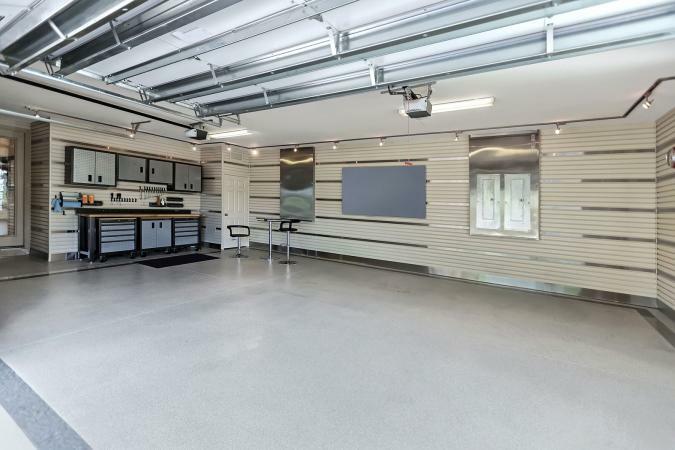 Floor: You can use paint specific for garages or decorative color chip flakes for garage epoxy floors. Plants: Potted plants placed about the garage will help energize it. Add hanging ferns or other plants that prefer diffused light. Element: Determine the garage sector and use the appropriate element to activate auspicious chi energy, such as the east sector (add wood), and west sector, (add metal) like your car and equipment storage. Music: Play music in the garage or set a flat screen on the wall and play the TV often. The more activity generated in this area, the better for you when sleeping. Lighting: Light is one of the best feng shui cures when yang energy is weak or non-existent. 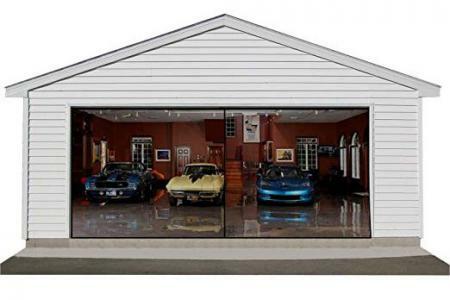 Add lights to your garage so it can become illuminated. Leave at least one light on at all times to attract yang energy. Windows: If you've covered the windows for privacy, consider added a window film that provides privacy without making the windows dark. Open any windows when you're working in the garage to let in fresh chi energy. Art: Another remedy for the garage is colorful wall art that has movement and rhythm or depicts active scenes as well as landscapes. Never use art that reflects danger, such as a stormy ocean or fierce wild animal. Wind chimes: You can hang a set of wind chimes, preferably near an area where the wind can enter, such as a window or fan. There are many feng shui cures you can implement to counter the inauspicious energy of a garage. You'll enjoy a good night's sleep once these cures are in place and your garage is generating auspicious chi energy.